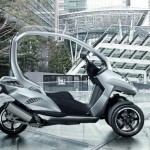 A green lifestyle also means green mobility, Halo City Electric Scooter would like to provide you with green personal vehicle to solve your last mile problem of daily commute. 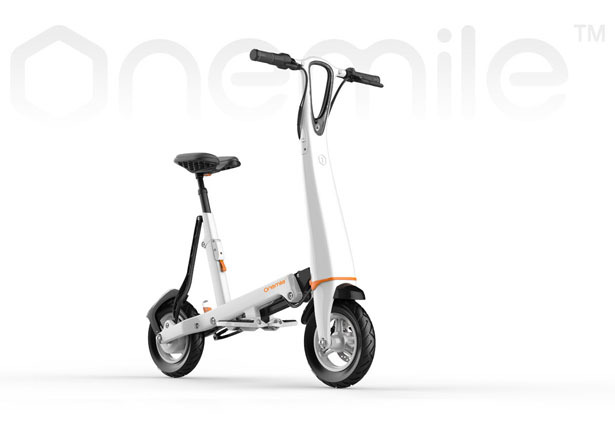 Designed with link-type folding system, this concept scooter can be easily folded in two in just seconds, making it easy to carry where you need to be on public transportation. 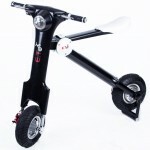 Feel free to cruise around the city, it takes you around the block effortlessly, you can also keep it in the car trunk when not needed. 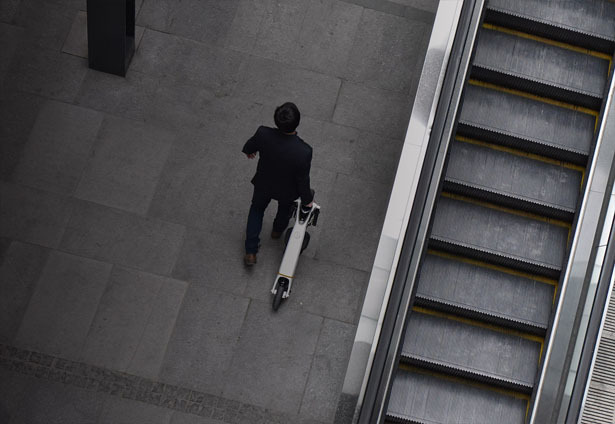 When folded, Halo City measures at less than a meter, it also weighs only 15.5kg with a maximum load of capacity of 110kg. 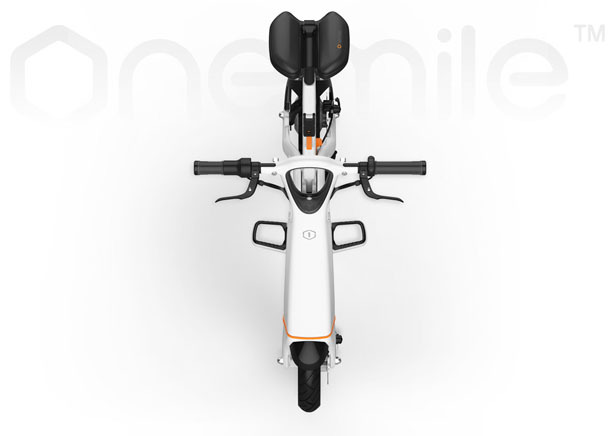 Halo City Electric Scooter by OneMile Technology is equipped with an intelligent app, it connects to the scooter to display transport-related information. 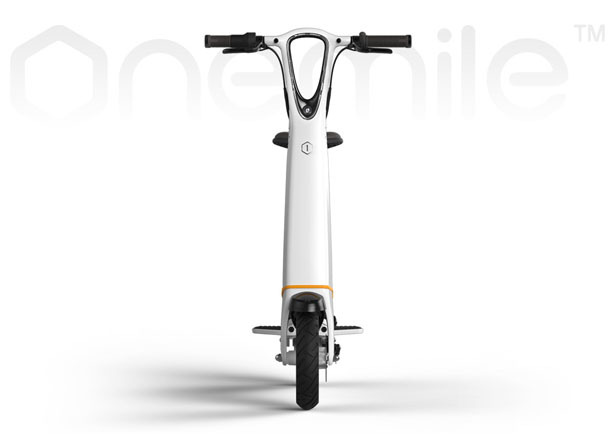 The rider can switch mode, detect or remotely control this scooter. 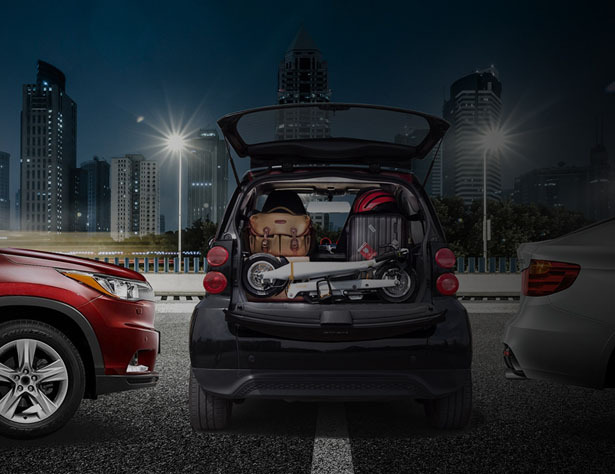 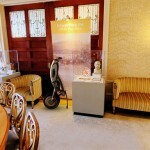 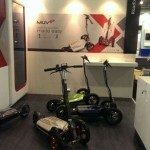 Furthermore, this concept scooter is also equipped with built-in GPS, intelligent modules, and GSM chips, it means that user can monitor this vehicle location in real time by using anti-theft smart function. 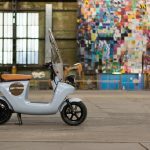 Made of carbon fiber, magnesium alloy, and high-end composite materials, the body of this scooter is constructed from one-piece aluminum alloy frame that adopts 3-D forging technology. 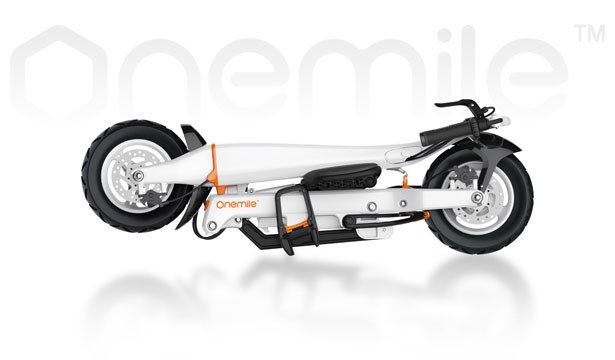 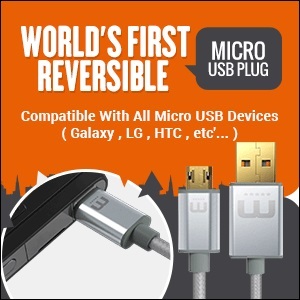 It doesn’t need any welding links, reducing pollution and possible injury during the welding process. 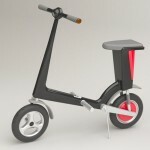 All materials used were carefully considered to reduce the overall weight of this scooter yet ensure its strength. 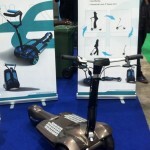 Tagged as foldable electric scooter, green lifestyle, smart connected scooter.